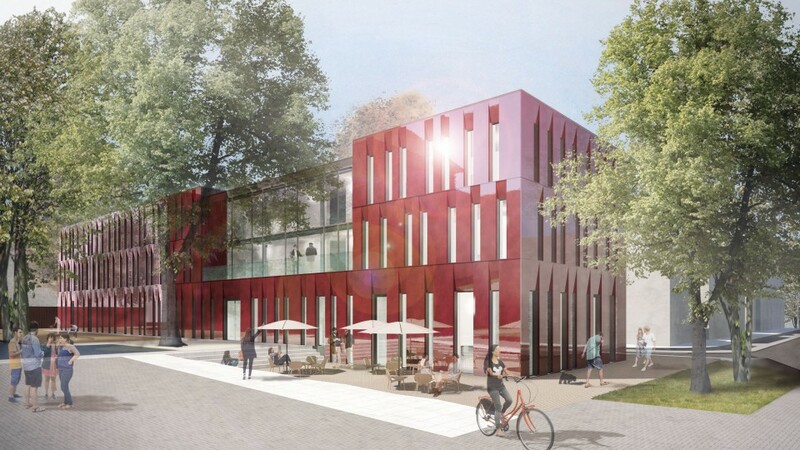 A Center for Studies and Doctoral Training is to be created on the campus of the Technical University of Hamburg-Harburg. Topographical projections and characteristics shape the inside of the building, dividing it on the ground floor into the lower-lying public area with foyer and café and the doctoral examination and seminar area, reachable by a staircase. High ceilings on the lower level give the café a bright and welcoming feel. Workspaces for the students are found on the upper floors. The two-meter-deep incision in the west of the building, starting from the first floor, is a reaction to the existing protected trees. On the first floor this feature is used to create an outdoor area for the students. The playful arrangement of floor to ceiling glass elements and closed facades achieves a vertically oriented, keyboard-like appearance. The closed areas are composed of metal panels of varying widths, similar to those found on the extensions of the main building. 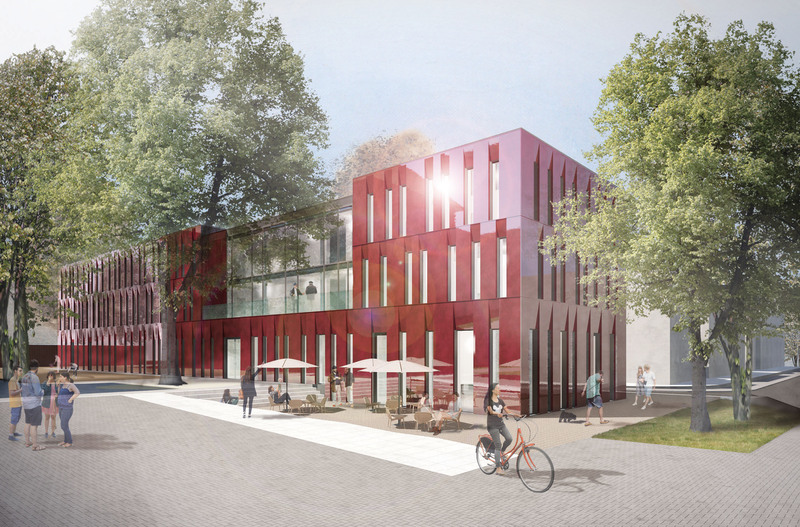 The material creates a deliberate contrast to the existing brick buildings while its colour references the red brick dominant in the surrounding buildings, creating a harmonious ensemble.